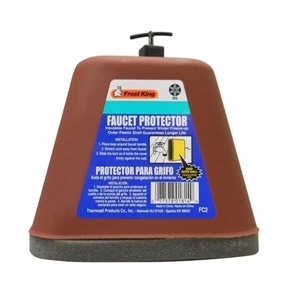 Protect your faucets from freezing wind and chill. Made of Hard plastic or foam, The Frost King Faucet Protectors can provide insulation for outdoor faucets throughout the winter. Plus all year long, they keep the outside air from leaking into your home. You can stop wrestling with your boots, thanks to Ariat®. This Ariat® Boot Jack helps pull your boots off with ease and comfort. 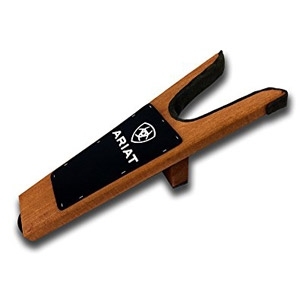 This boot jack is made of stained hardwood with boot protection inside the jack. 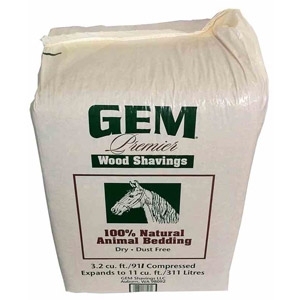 GEM® Premier White Shavings are a mix of approximately 80% kiln-dried (kd) Western Hemlock and 20% kd Douglas Fir. And no, the Western Hemlock tree is not related to the poisonous hemlock plant! The Western Hemlock is a coniferous softwood (evergreen) tree that is a predominant species in the forests of western Washington, Oregon and British Columbia. Step stool and tote box in one patented design! 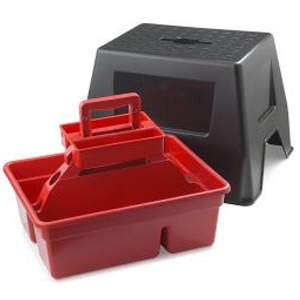 The sturdy tote holds supplies while the removable step stool fits over it to protect contents from the elements. Big enough to hold 12 inch-tall spray bottles yet easy to carry with one hand. Internal storage tray holds small items.